Your Valentines Day dinner – sorted! It’s that time of the year again; Valentine’s Day! We love any excuse for gifts (and chocolate), but we are also under no illusion that for everyone Valentine’s Day ends in a meal out and a bottle of fizz. When you’re a parent though, it just isn’t that simple! 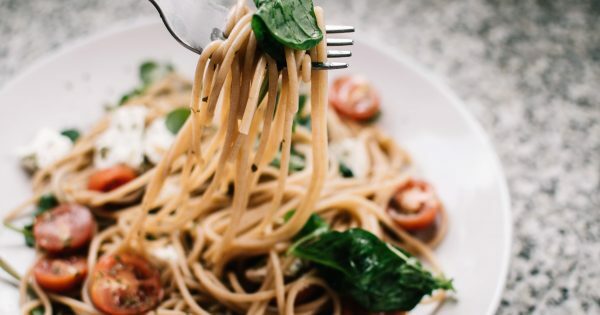 Well fear not, we have come up with a list of easy to make, yet impressive Valentine’s Day dinner suggestions that won’t break the bank and can be enjoyed by you, your other half AND the kids if you can’t find a sitter for the ‘big’ day…. Pasta – EVERYONE loves pasta! Not only is it super filling but it’s really easy to make one lot for the kids and one lot for the adults! For Valentine’s Day why not use premium ingredients that you wouldn’t usually use for an extra special touch. 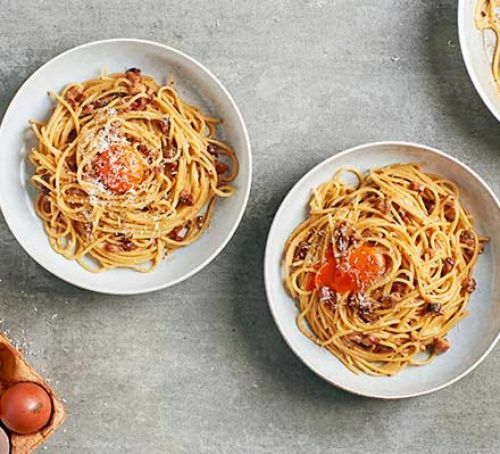 This ‘Next Level Spaghetti Carbonara’ recipe from BBC Good Food suggests using Truffle oil as a garnish – YUM! Puff Pastry Tarts – For very little effort you can impress the whole family with puff pastry tarts. The kids will think you’ve gone all ‘posh’ and you can use whatever fillings you like. Think vegetables, cheese, bacon and pesto! 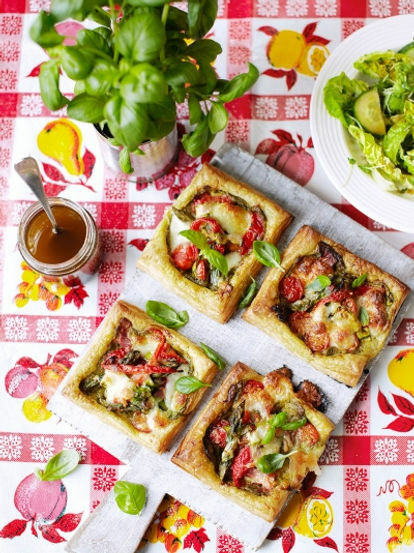 Here’s a simple recipe from Jamie Oliver that you can adapt with your favourite ingredients. Steak – If you’re lucky enough to have the night to yourselves then steak is a really great meal choice. It’s not too tricky so won’t cause any stress in the kitchen and can be paired with different sides and sauces. Looking for something a little different? 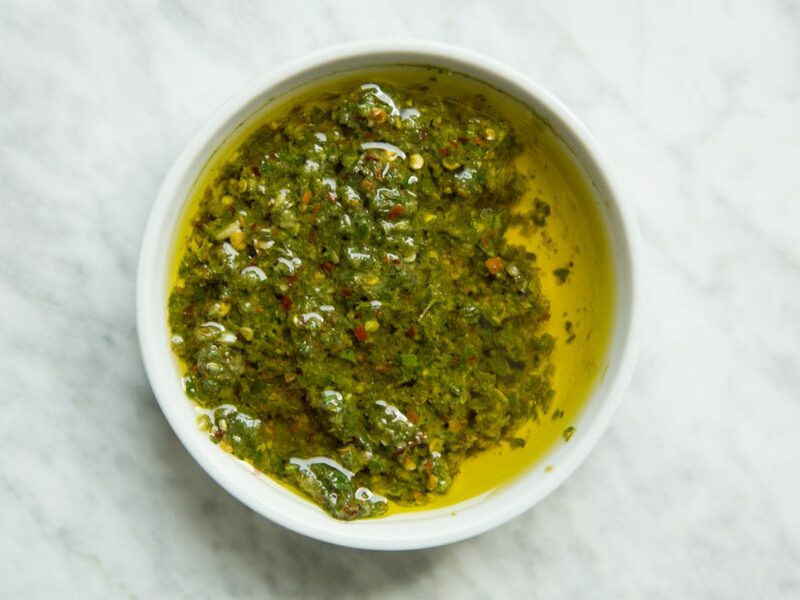 Serve it with chimichurri to spice up your night! Risotto – Just like steak, risotto can be served up however you like. You can use veggies, meat or fish to customise it, and while it can take a little time to cook it is relatively simple for an impressive outcome! 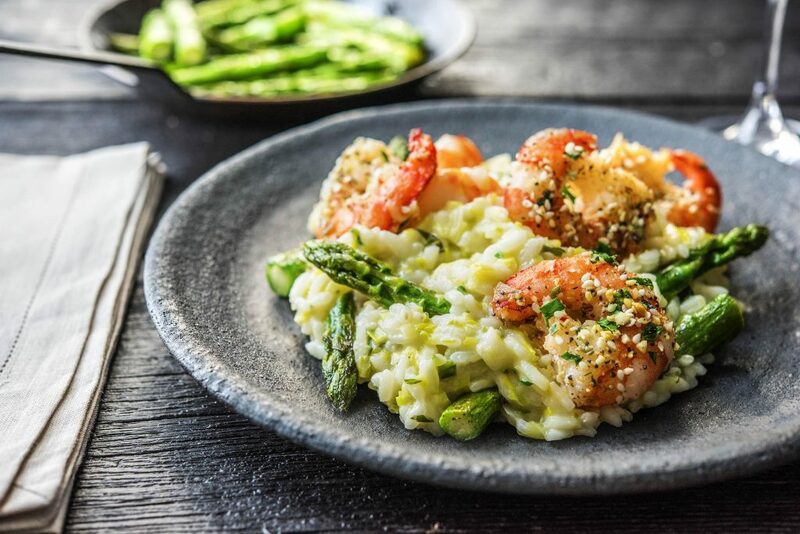 We love the sound of this King Prawn and Asparagus Risotto recipe from Hello Fresh. DIY Ice cream Sundae Station – Who said that having the kids around on Valentine’s Day was rubbish?! 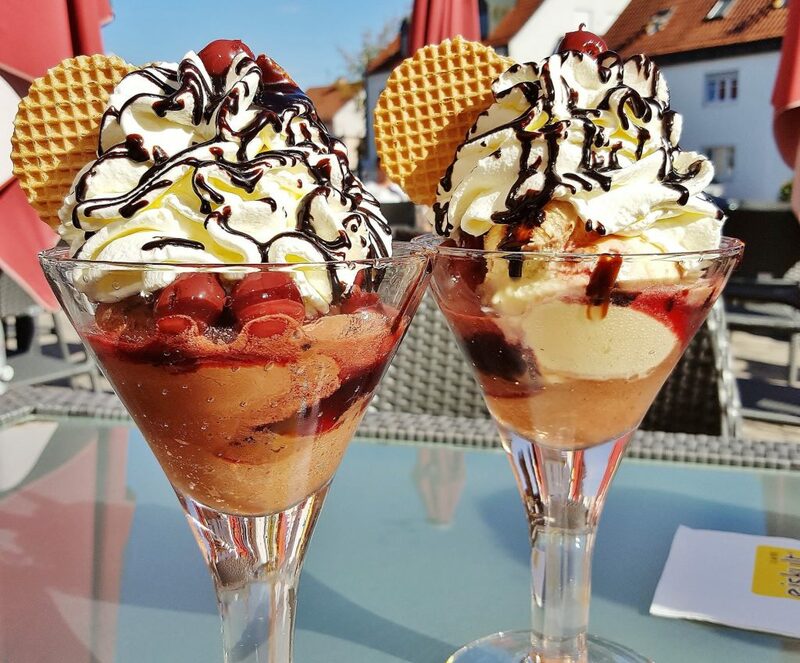 It’s an excuse to eat a ridiculous amount of ice cream sundae that has every topping under the sun on it! Making a DIY sundae station is a scrumptious treat for everyone and you can go all out with heart shaped toppings, pink sprinkles and of course, squirty cream! Here are a few ideas from Good Housekeeping. 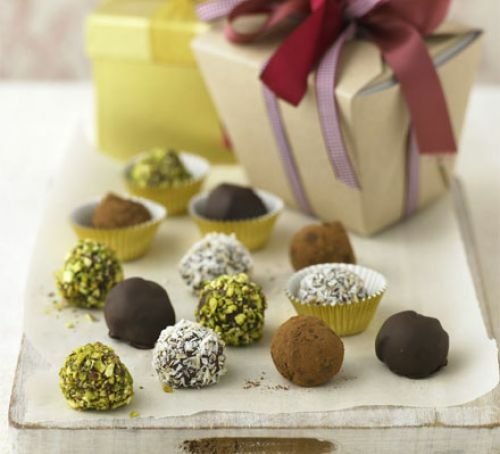 Truffles – Truffles are a fun dessert for both you and the kids to make. This recipe courtesy of BBC Good Food is super simple and just the sort of decadence that Valentine’s Day warrants! Let us know how you’ll be celebrating Valentine’s Day this year over on Facebook and Twitter @UKMumsTV.